About six months ago, I interviewed David about their website and business. Stephanie, though, is more focused on the talent that is a part of their marketplace. A musician herself, she brings her understanding of the creative process to helping actors find work. NOTE: Stephanie stressed that Voices.com is a marketplace where producers and voice talent can meet and connect. They and the website do not “represent” anyone. “For over 25 years, Stephanie has used her voice to communicate what is most important to her through the spoken word, written word, and song. Possessing a great love for imparting knowledge and empowering others, Stephanie has been a contributor to The Huffington Post, Backstage Magazine, and the Voices.com blog, which has a readership of over 30,000. She is also a popular public speaker and mentor, as well as the host of Sound Stories, a podcast series for creative professionals. 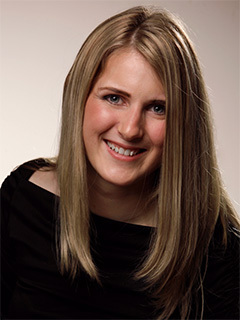 “With a Bachelor of Musical Arts from the Don Wright Faculty of Music at Western University (2006), Stephanie has special skills in vocal education and performance. Having studied music intensively at the conservatory and at the university level, Stephanie has won awards for academic achievement and vocal performance. “Stephanie is the author of ‘Voice Acting For Dummies’ (Wiley Publishing, 2013), ‘The Podcasting Ebook: Your Complete Guide to Podcasting’ (2005), and ‘The Definitive Guide To Voice-Over Success’ (2005). A voice-actor is someone you don’t see but do hear. The voice of Darth Vader comes instantly to mind. So does every cartoon character ever created. A voice actor needs to create a convincing, believable, fully-realized character using only their voice. This is a rare creative talent and, as producers, we often rest entire movies on the shoulders of people the audience will never see. “First,” Stephanie continues, “make the actor comfortable. Acting is a fragile activity. Make your actors feel secure. Different actors respond differently to instructions. Some prefer words, others images, still others think about sounds to help them evoke the feeling you want in their performance. Voice actors are part of the production team. And, just like other team members, they want to feel they are a valued and essential part of the entire production. Even though they are acting alone in a studio, far from the set and the reinforcement of other actors, with good direction, voice actors can create indelible performances.